Well, this is big news! 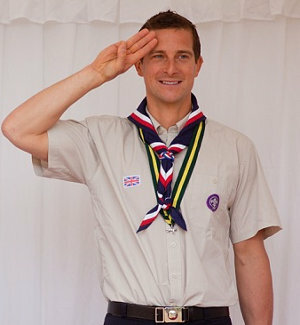 Bear Grylls has been appointed as the Chief Ambassador of the World Scout Movement. Very cool for Bear, eh? Not only that, he is the FIRST Chief Ambassador. I've not found much detail about the position yet, but it's a volunteer spot to promote Scouting worldwide. Bear was in New York performing his first official act which was to launch Scouts for SDGs. Maybe he'll make more appearances in the USA in the coming year.